Shape and dimensions of the loyalty cards are binding predefined with the international ISO standard 7810 (ISO = International Organization for Standardization). 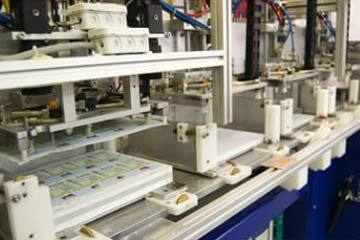 Nevertheless you are quite free by taking the choice of material, type of production process, imprinting and terms. In Germany most popular cards, the ec-cards and credit-cards, are made of plastic almost everytime. They are built multilayered with a printed film inside the loyalty card under the crystal clear and high glossy laminated foil. Almost every card by SmartLoyalty AG are produced with this classical method. The result of this poducing process is a high-quality loyalty card that is suitable for all conventional upgrading- and personalization methods. 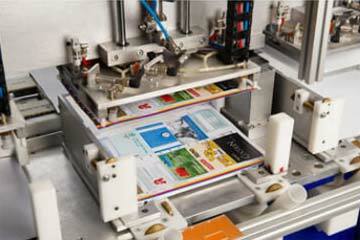 The 4 Colors-Offset-Printing takes an exceptional position within the print technologies. 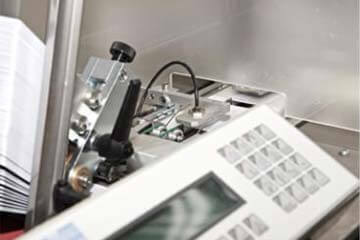 With this procedure and exclusive developed technologies we are able to offer you best prices also for small runs. For special wishes you can use special colours (HKS, RAL, Pantone). For metallic effects (e.q. 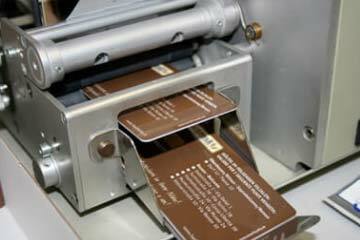 hte golden AMEX-card) the porous printing technology is used. 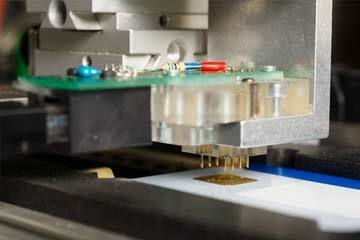 For high glossy metallic surfaces the hotstamp technology is applied. Typical configurations are labeling fields, hologram stamping, miscellaneous data carriers and different personalisations and encodings. In the loyalty card a chip module as a data medium is implemented that can be read ore written over contact areas. The first option is mostly used for the personalization of cards for single events. Due to costs reducing also customer or club cards are delivered with following numbers. The advantage of this solution is the opportunity to hand out the customer his card immediately without spending to much time for waiting. The disadvantage may be the fact that the client feels just as a “number” to be identified with. The second option is necessary when the card has a long term validity and the owner is acquiring new customers after one another. The providing of named cards is a bit more complicated, but due to the impressive effect of such cards it is recommended strongly. In general a part of the cards are personalized directly after production. The rest is being deposited in stock at SmartLoyalty. From this stock an amount of cards will be taken for smaller or bigger orders for personalization from time to time. The data can be given to SmartLoyalty as an excel file or a digital list.